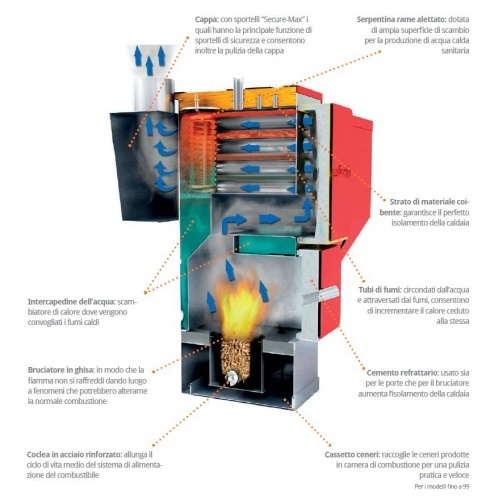 CS 34-46kw multi-fuel boiler model suitable to burn pellets, pits, wood burning logs. The boiler can operate Pellet / hackneyed, pellet and wood burning, wood burning logs. It can pass a pellet after the end of the wood. The ignition is automatic, the electronic management system allows the flame modulation and self-maintenance. Available power up to 700kw.